Adagio Weddings is owned and operated by a husband and wife team, Alex and Daria. They decided to unite their skills in music and craft-making and work together to create a unique and personalized experience for their clients. Alex was born with a passion for working with his hands – “golden hands” as we call them. With a degree from Odessa State Environmental University in Ukraine, his skills vary from crafting designer furniture to custom homes. His patience, attention to details, and love for the environment comes through in every aspect of his work. All handcrafted arches and chuppahs are designed and made by him, ranging in styles from classical real wood and bamboo, rustic curly willow to modern and unique shabby-chic copper and acrylic. He loves experimenting with new materials and ideas, so if you can dream it, he can build it. Daria started playing violin at the age of five with her first performance on national TV just two years later at the age of seven. Years of practice, commitment and dedication to her chosen craft rewarded the young girl with being the winner and Laureate of many National competitions and festivals. 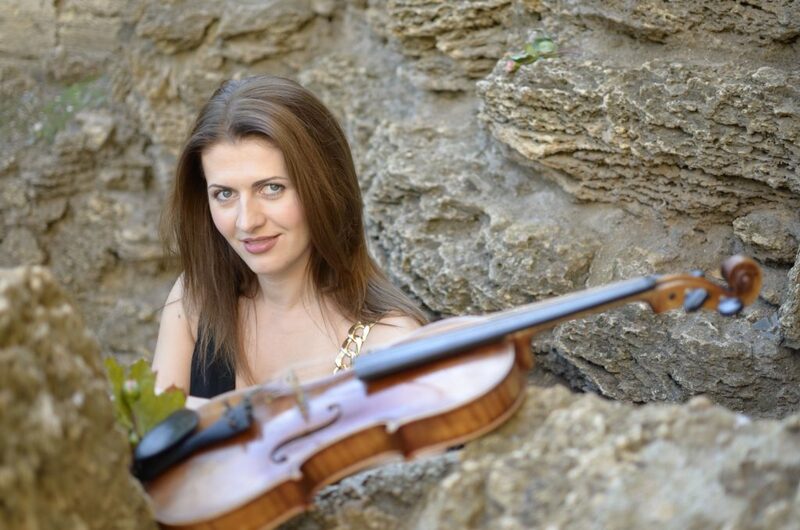 After graduating with a Master’s degree and receiving her Red Diploma from the Music College of Dankevich in the Ukraine and then Conservatory in Odessa, Daria obtained a position with the Chamber Philarmonic Orchestra Odessa. In 2014 she released her first CD “Violin Stories”, which is available on iTunes.com and CDBaby.com. Tours of Europe and North America as a solo violinist and leading her own string quartet “Adagio” helped fuel her love for travel. Since her family moved to US, she is a member of the South Florida Symphony Orchestra and works with different ensembles all around Florida, doing symphony, television and film work. Daria and her husband Alex live in Jacksonville, FL with a little Jack Russel Terrier named Juja, which was found in the forest and flew to the US all the way from Ukraine! In their spare time they love to cuddle with their dog, spend time with friends and cook vegan meals, which they feature on their You Tube cooking channel .